Incorporated in 2004, we began as a family business and now have more than 17 staff members on our team. 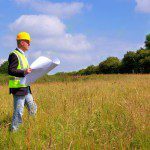 At Professional Property Services (PPS), we provide turn-key service on any land acquisition project. From cost and needs studies, survey and mapping, due diligence, progress tracking, titles, appraisals, environmental reporting, negotiation, relocation assistance, condemnation preparation, closings, and damage settlements we pride ourselves on the comprehensiveness of our services. Incorporated in 2004, we began as a family business and now have more than 17 staff members on our team along with a list of trusted and experienced subcontractors that we contact when needed to build capacity for a certain project. We have also partnered with Professional Property Surveyors, Inc. to provide surveying and mapping services. We strive to provide outstanding service to all of our clients to effectively acquire property rights for projects that build and improve roadways, mass transit, revitalize neighborhoods, and other critical infrastructure. Our staff has extensive experience in providing acquisition and relocation services for federal, state, and municipal government, public utility agencies, and private developers for many years, and we have established truly excellent working relationships. For this reason, we are confident that we can meet the demands of your project. We work in a team-oriented environment that allows us to approach the unique challenges posed by each project with success. We believe in timely, thorough, and honest work that finds a common ground and understanding to effectively reach settlements between public agencies and private citizens. Please contact us today to discuss your project with a member of our team. We are eager to earn your business and look forward to working with you.